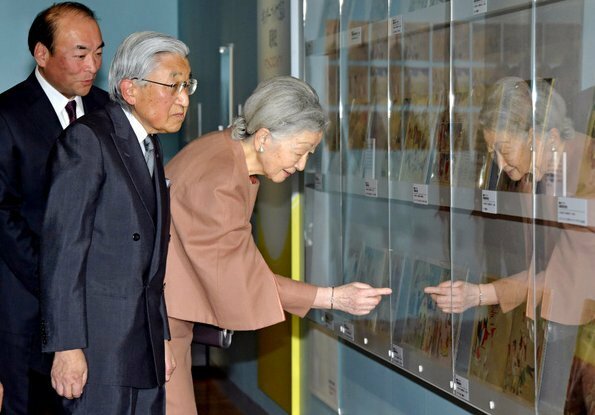 On January 13, 2018, Emperor Akihito of Japan and Empress Michiko of Japan visited "90th Year of Kinderbook" exhibition held at Tokyo's Printing Museum in Bunkyo Ward. At the exhibition, about 300 picture books and original drawings are exhibited. Kinderbook which is a monthly picture book and magazine closely related to early education of children at preschool age is one of the longest periodicals of Japan. The magazine began to be published in 1927. 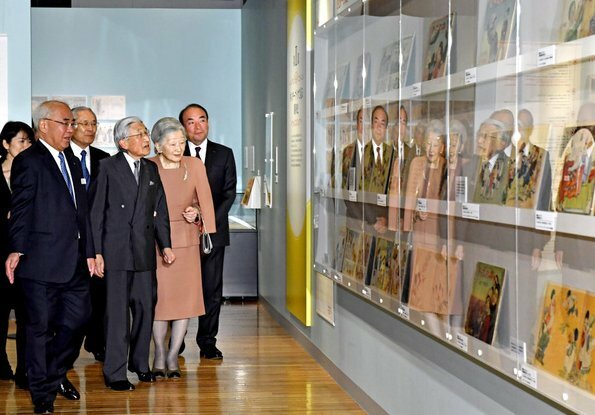 I will miss Emperor Akihito of Japan and Empress Michiko of Japan after their abdication in April 2019.